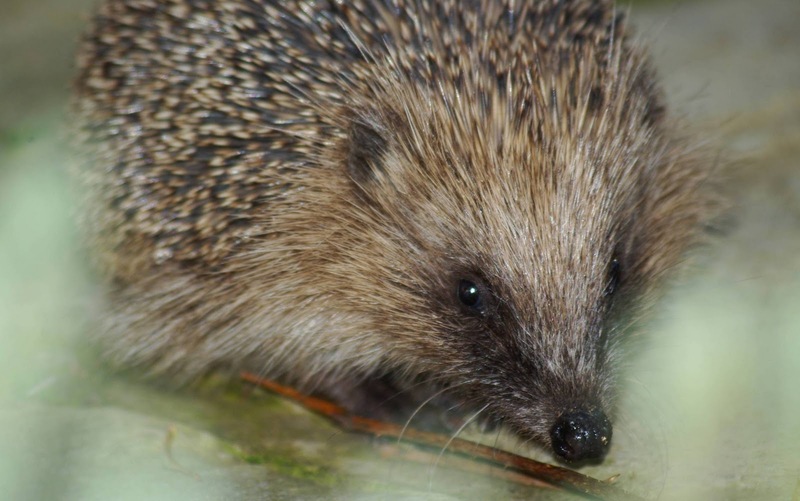 AWT Wild Schools blog: Hedgehogs still need help! You may have seen Annie from the Help a Hedgehog hospital on Autumnwatch Unsprung last week. She talked about the importance of keeping your eyes open for the autumn orphans that are around at the moment. Sadly these beautiful mammals have declined by 30% since the 1990's, mainly due to road casualties and loss of habitat, but increasingly, many young hoglets do not survive their winter hibernation due to a lack of fat reserves. Young hoglets need to reach 500g - 600g in weight in order to make it through the cold winter months so we need to do our bit by putting out fresh water and meat based pet food in this important time.If you do find a young hedgehog that you are concerned about, contact the Hedgehog Preservation society or a local group which you should be able to find online. Some of you might be wondering about 'Sonny' that I mentioned in a previous blog. He was a tiny, hungry but very friendly autumn baby that I found in my own back garden.Thankfully, thanks to the great work that Annie and her team do, Sonny is making good progress and I hope to have him, and a friend, home soon to overwinter in a hutch in my shed. He still is less than 400g in weight and is therefore unlikely to survive the winter if he was released now so I am looking forward to giving him and his friend some TLC, along with some tasty mealworms, dried cat food and fresh water. In the Spring they will be released into my garden so they can rummage around in the long grass, enjoy lots of tasty snacks from the piles of dead wood and compost heaps then sneak through the hole in the fence to my neighbours garden to explore the world beyond. If you think you might have some hedgehogs around where you live, look out for footprints in the mud. 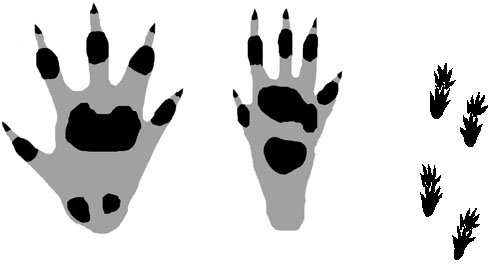 Notice, the different shapes of the front and back feet and the distinctive tracks. 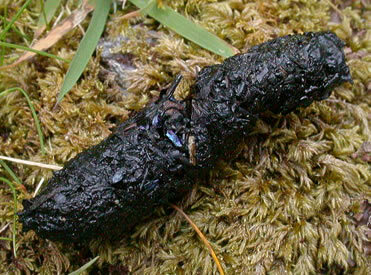 You may also find hedgehog 'poo' on your lawn. This is very dark, almost black and you can sometimes see beetle wing cases within it. For more information about hedgehogs and how you can help see our Wild hedgehogs website or become a hedgehog champion at Hedgehog Street - a great project from the British Hedgehog Preservation Society and the People's Trust for Endangered Species. I'd like to say thanks, in particular, to Carole at Help a Hedgehog for the care and attention she has given Sonny to restore his health and of course, to all those who care for hedgehogs around the country. Exploring Brown's Folly Nature Reserve! How to become a Nibbled Nut Detective! Victoria Park Primary School go Hedgehog-tastic!